These committees are staffed by members of the Student Assembly, Graduate and Professional Student Assembly, the Employee Assembly, and the Faculty Senate. The Codes and Judicial Committee of the University Assembly has authority over the Campus Code of Conduct and in staffing the University Hearing and Review Boards. The Campus Infrastructure Committee reviews and approves proposed motions related to: environmental impact and sustainability; information technology; transportation and commuter policies; and, any other topic deemed relevant to campus infrastructure by the University Assembly Executive Board. 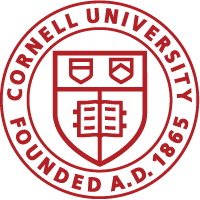 The Campus Planning Committee (CPC) promotes comprehensive and clear planning processes in stewardship of Cornell University’s Ithaca campus. The Committee’s charge is to review and make recommendations to the President regarding physical planning for the campus, including master planning; land use and physical development; landscape and environmental planning and design; transportation planning, including circulation and parking; infrastructure; and new construction and renovations as they relate to the overall planning, character, and integrity of the physical plant.